Reports of Internet users that have been caught out by email scams continue to increase. Whether it is drivers being told to pay speeding fines via a link on an email, or Facebook users being advised that they have violated the terms of their account, innocent victims continue to be ripped off by cybercriminals using email scams. Business email compromise scams are also reported to have increased. These email scams involve the cybercriminal gaining access to a corporate email account – such as that of the CEO. An email is then sent apparently from the CEO to a member of the finance department requesting a bank transfer to the cybercriminal´s account. All too often the transfer is made without question. Many email scams attempt to extract log-in credentials by asking the recipient of the email to log into an account to resolve an issue. The email contains a link to a bogus website, where the recipient keys in their username and password. In the case of the Facebook email scam, this gives the cybercriminal access to the recipient´s genuine account and all their social media contacts. Many individuals use similar username and password combinations for multiple accounts and a cybercriminal could get the individual´s log-in credentials to all their online accounts (personal and work accounts) from just one scam email. Alternatively they could use the log-in credentials to infect the user´s accounts with malware. To protect against email scams, security experts advise if you are contacted by email and asked to click a link, pay a fine, or open an attachment, assume it is a scam. Try to contact the individual sender or company supposed to have sent the email to confirm its authenticity. Do not use the contact information supplied in the email. Perform an Internet search to independently obtain the sender´s genuine contact details. Carefully check the sender’s email. Does it look like it is genuine? Ensure anti-virus software is installed on your computer and is up to date. The past few weeks have seen two major disasters in which hundreds of people lost their lives. 157 people lost their lives in the Ethiopian Airlines Boeing 737 Max crash and the Christchurch mosque massacre saw 50 people killed. Both events were terrible tragedies that shocked people the world over. Victims and their families have been receiving messages of support on social media and many people have shown their support by making financial donations. More than US$5 million has so far been raised to help the victims of the New Zealand attack. Unfortunately, cybercriminals are taking advantage. In the past few days, phishing campaigns have been detected that are using the tragedies to infect computers with malware and steal charitable donations. According to New Zealand’s cybersecurity agency, CERT NZ, multiple campaigns have been detected that are using the Christchurch attack as a lure. Malware has been embedded in video footage of the tragedy which is currently being shared online, including on social media websites. Phishing attacks are also being conducted which contain links to faked online banking forms that attempt to obtain users banking credentials. One campaign spoofed the Westpac New Zealand bank and emails appeared to have been sent from its domain. Other email campaigns contain pleas for financial assistance and supply bank account details for donations, but the details are for criminal-controlled accounts. Another campaign has been detected that is using the Ethiopian Airlines Boeing 737 Max crash to spread a remote access Trojan and information stealer. The emails claim to offer information to air travelers about airlines that are likely to also suffer crashes. The emails offer information that has been found on the darkweb by a security analyst. The emails include a JAR file which, it is claimed, has important information for all air travelers on airlines to avoid due to the risk of plane crashes. Whenever there is a tragedy that is extensively covered in the media cybercriminals try to take advantage. By adopting cybersecurity best practices such as never opening email attachments from unknown senders nor clicking links in emails, these scams can be avoided. Unfortunately, email spoofing makes it difficult to detect phishing threats. Scam emails often appear genuine and seem to have been sent from a trusted source. 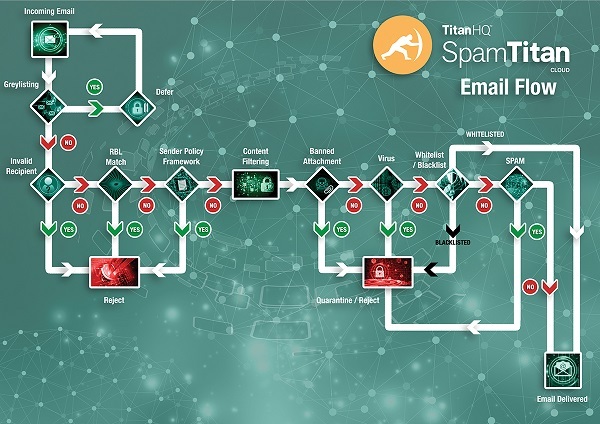 To combat the threat to businesses, TitanHQ has recently updated its spam filtering solution, SpamTitan, to provide greater protection from these threats. SpamTitan now incorporates DMARC to authenticate senders of emails and protect against email impersonation attacks. To provide even greater protection from malware, in addition to dual anti-virus engines, SpamTitan now incorporates a Bitdefender-powered sandbox, where suspicious files can be safely analyzed to determine whether they are malicious. These additional controls will help to protect businesses and end users from new malware threats and advanced phishing and email impersonation scams. Spoofed email phishing scams can be hard for end users to identify. 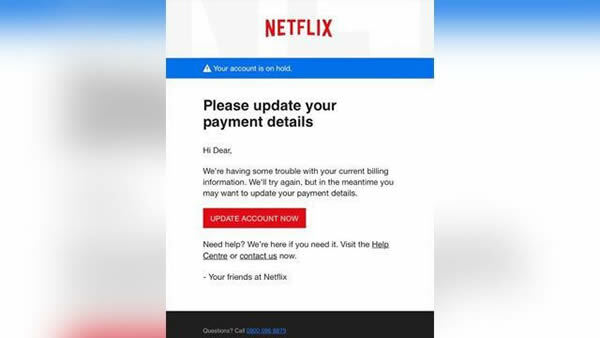 The scams involve sending a phishing email to a user and making the email appear as if it has been sent by a known individual. This could be a known contact such as a supplier, a work colleague, a friend or family member, or a well-known company. These phishing campaigns abuse trust in the sender and they are highly effective. Many end users are warned never to click on links in emails or open email attachments in messages from unknown senders, but when the sender is known, many users feel that the email is safe. One of the most effective spoofed email phishing scams involves impersonation of the CEO or a high-level executive such as the CFO. This type of scam is often referred to as a business email compromise scam or BEC attack. A message is sent to an employee in the accounts department requesting an urgent wire transfer be made along with the account details. The attacker may first start an email conversation with the target before the request is made. No employee wants to refuse a direct request from the CEO, so the requested action is often taken. Over the past few months, sextortion scams have grown in popularity with cybercriminals. Sextortion scams are those which threaten to oust the victim unless a payment is made. This could be disclosing the user’s internet browsing habits (dating sites, adult sites) to a spouse, work colleagues, and family members. There were many of these scams launched following the hacking of the Ashley Madison website when details of users of the site were dumped online. Several sextortion scams have been detected in the past few months which claim that the sender (a hacker) has gained access to the user’s computer and installed malware that provided access to the webcam, microphone, and internet browsing history. The email message informs the recipient that they have been recorded while viewing adult websites and a video of them has been spliced with the content they were viewing at the time. The attacker threatens to send the video to every one of the user’s contacts on email and social media accounts. Two recent sextortion campaigns have been detected that spoof the users own email address, so the email appears to have been sent from their own email account. This tactic backs up the claim that the attacker has full control of the user’s device and access to their email contacts. The reality is the email header has just been spoofed. Additionally, the user’s password is included in the message, which has been obtained from a past data breach. The password may not be current, but it may be recognized. A check of the bitcoin wallet address included in the emails for the blackmail payment shows these scam emails have been highly effective and several victims have paid up to avoid being outed. One campaign netted the attacker $100,000 in one week, another saw payments made totaling $250,000. These spoofed email phishing scams are not difficult to block, yet many businesses are vulnerable to these types of attacks. Security awareness training for employees is a must. If employees are not taught how to check for spoofed email phishing scams, they are unlikely to recognize threats for what they are. Even so, it is difficult for an average employee to identify every possible phishing attempt, as phishing email simulations show. What is needed is an advanced spam filtering solution that can detect spoofed email phishing attacks and block the malicious emails at source to prevent messages from being delivered to inboxes. SpamTitan Cloud, for instance, blocks more than 99.9% of spam and phishing emails to keep businesses protected. 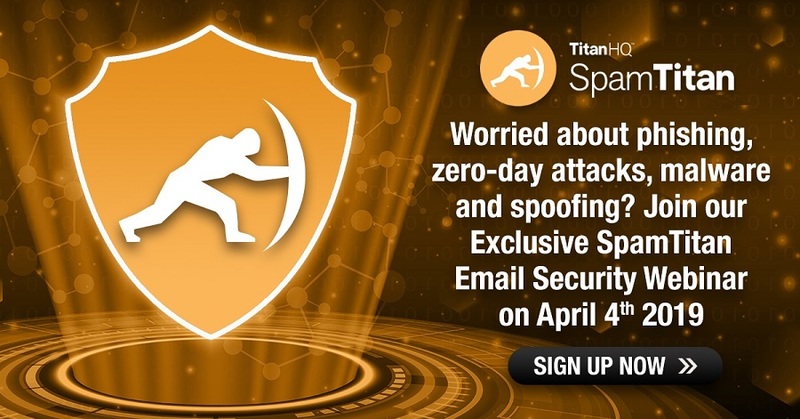 If you want to keep your business protected and prevent these all to common spoofed email phishing attacks, give the TitanHQ team a call. A member of the team will be happy to talk about the product, the best set up for your organization, and can arrange to give you a full product demonstration and set you up for a free trial. A new Ursnif Trojan campaign has been detected that uses a new variant of the malware which uses fileless techniques to avoid detection. In addition to the banking Trojan, GandCrab ransomware is also downloaded. Ransomware attacks can cause considerable disruption to businesses, although a good backup strategy can allow businesses to recover quickly in the event of a successful attack without having to pay the ransom demand. However, there has been a significant increase in phishing attacks that deliver not one but two malware variants – ransomware to extort money from companies but also an information stealer to obtain sensitive information such as login and banking credentials. Malware variants used in these attacks also have the capability to download other malware variants and gather system data and process information for use in further attacks. These phishing campaigns allow hackers to maximize the profitability of attacks and make the attack profitable even if the business does not pay the ransom. There have been several examples of these attacks in recent months. Earlier in January, warnings were issued about the combination of Ryuk ransomware with the Trickbot and Emotet Trojans – Two malware variants that are used in wire fraud attacks. Ryuk ransomware has been extensively used in attacks on U.S. healthcare providers. The combination with the banking Trojans makes the attacks far more damaging. Now another campaign has been detected using different malware variants – The Ursnif Trojan and the latest version of GandCrab ransomware. What Does the Ursnif Trojan Do? The Ursnif Trojan is one of the most active banking Trojans currently in use. The main functions of the malware is to steal system information and bank account credentials from browsers. The latest variants of the Ursnif Trojan have also been used to deploy other malware variants such as GandCrab ransomware. According to security researchers at Carbon Black, who identified the latest campaign, the Ursnif Trojan now uses fileless execution mechanisms to make detection more difficult. Instead of downloading and writing files to the hard drive – which can be detected – a PowerShell script downloads a payload and executes it in the memory. That payload then downloads a further file and injects it into the PowerShell process, ultimately resulting in the downloading of the ransomware. When code is loaded in the memory, it often does not survive a reboot, although the latest variant of Ursnif has persistence. This is achieved by storing an encoded PowerShell command inside a registry key and subsequently launching the command via the Windows Management Instrumentation Command-line (WMIC). Once information has been collected from an infected system, it is packaged inside a CAB file and sent back to the attackers C2 via encrypted HTTPS. This makes data exfiltration difficult to detect. The Ursnif Trojan campaign uses email as the attack vector with infection occurring via a Word document attachment that contains a VBA macro. If the attachment is opened and macros are enabled (automatically or manually), the infection process will be triggered. Due to the difficulty detecting the malware attack once it has started, the best way to protect against this attack is by improving anti-phishing defenses. It is important to prevent the malicious emails from being delivered to inboxes and to ensure that employees are trained how to identify the messages if they make it past email defenses. 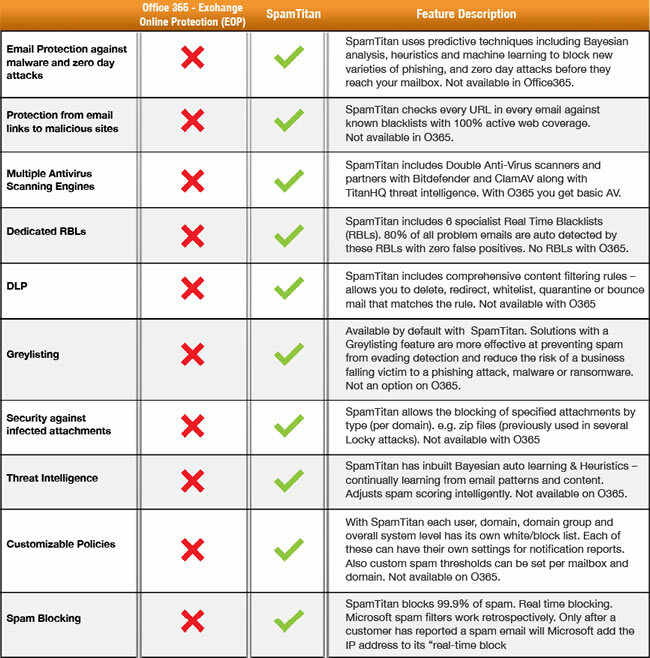 The former can be achieved with a powerful spam filtering solution such as SpamTitan. Along with security awareness training for employees to condition them not to open emails from unknown senders or open attachments and enable macros, businesses can mount an effective defense against the attack. A new phishing scam has been detected that uses a novel method to evade detection – The use of custom fonts to implement a substitution cipher that makes the source code of the phishing kit appear normal. When users visit the phishing website they are presented with the logos and standard login page of their bank. To the user, apart from the domain name, there is nothing to indicate that the site is not genuine. As with similar phishing scams, if the user enters their credentials they will be harvested by the scammer and used to gain access to the users’ bank account. These types of phishing scams are now commonplace, although the latest campaign has an interesting twist – one that make it much harder to detect the site as malicious. Many phishing kits obfuscate their source code to make it harder to determine what it does. One method that has been used in the past is the use of substitution functions to make the sites harder to detect. This technique substitutes individual letters such as abcd with alternate letters jehr for example. While the page is rendered correctly for the user, when a program reads the source code it is presented with jumbled, gibberish letters. The result is users see a standard banking login page as does software than scans the site. Further, as an additional measure to avoid detection, the branding that has been stolen from the targeted bank is also obfuscated. It is common for bank logos to be stolen and included on phishing pages to convince visitors they are on the genuine site, but the use of the logos can be detected. By rendering the graphics using scalable vector graphics files, the logos and their source do not appear in the source code of the page. These tactics could easily be used to target finance department employees and fool them into disclosing their corporate banking credentials, allowing business accounts to be plundered. These new techniques show just how important it is to block phishing emails at source before they are delivered to end users’ inboxes and the need for comprehensive cybersecurity training to be provided to employees to help them identify potentially malicious emails. 2-factor authentication is an important safeguard to prevent unauthorized account access, but does 2-factor authentication stop phishing attacks? 2-Factor authentication is commonly used as an additional protection measure to prevent accounts from being accessed by unauthorized individuals in the event that a password is compromised. If a password is disclosed in a phishing attack or has otherwise been obtained or guessed, a second authentication method is required before the account can be accessed. Two-factor authentication uses a combination of two different methods of authentication, commonly something a person owns (device/bank card), something a person knows knows (a password or PIN), and/or something a person has (fingerprint, iris scan, voice pattern, or a token). The second factor control is triggered if an individual, authorized or otherwise, attempts to login from an unfamiliar location or from a device that has not previously been used to access the account. For instance, a person uses their laptop to connect from a known network and enters their password. No second factor is required. The same person uses the same device and password from an unfamiliar location and a second factor must be supplied. If the login credentials are used from an unfamiliar device, by a hacker for instance that has obtained a username and password in a phishing attack, the second factor is also required. A token or code is often used to verify identity, which is sent to a mobile phone. In such cases, in addition to a password, an attacker would also need to have the user’s phone. So, does 2-factor authentication stop phishing attacks from succeeding? In many cases, it does, but 2-factor authentication is not infallible. While it was once thought to be highly effective at stopping unauthorized account access, opinion is now changing. It is certainly an important additional, low-cost layer of security that is worthwhile implementing, but 2-factor authentication alone will not prevent all phishing attacks from succeeding. There are various methods that can be used to bypass 2-factor authentication, for instance, if a user is directed to a phishing page and enters their credentials, the hacker can then use those details in real-time to login to the legitimate site. A 2FA code is sent to the user’s device, the user then enters that code into the phishing page. The attacker then uses the code on the legitimate site. This 2-factor authentication bypass is somewhat cumbersome, but this week a phishing tool has been released that automates this process. The penetration testing tool was created by a Polish researcher named Piotr Duszynski, and it allows 2FA to be bypassed with ease. The tool, named Modlishka, is a reverse proxy that has been modified for handling login page traffic. The tool sits between the user and the target website on a phishing domain. When the user connects to the phishing page hosting this tool, the tool serves content from the legitimate site – Gmail for instance – but all traffic passes through the tool and is recorded, including the 2FA code. The user supplies their credentials, a 2-factor code is sent to their phone, and that code is entered, giving the attacker account access. It is an automated version of the above bypass that only requires a hacker to have a domain to use, a valid TLS certificate for the domain, and a copy of the tool. No website phishing templates need to be created as they are served from the genuine site. Since the tool has been made available on Github, the 2FA bypass could easily be used by hackers. To protect against phishing, a variety of methods must be used. First, an advanced spam filter is required to prevent phishing emails from reaching inboxes. SpamTitan, for instance, blocks more than 99.9% of spam and phishing emails. Fewer than 0.1% of emails may make it past the spam filter, but any one could result in an account compromise. Security awareness training should therefore be provided to employees to help them identify suspicious emails. Unfortunately, people do make mistakes and phishing emails can be highly realistic, so it is wise to also implement a web filter. A web filter will block attempts to connect to known phishing sites and can assess sites in real time to help determine their authenticity. If the checks fail, the user will be prevented from accessing the site. These anti-phishing controls are now essential cybersecurity measures for businesses to protect against phishing attacks, and are all the more important since 2FA cannot be relied upon to protect against unauthorized access once a password has been compromised. You can find out more about SpamTitan and WebTitan by contacting TitanHQ. In this post we offer four simple steps to take to improve Office 365 security and make it harder for hackers and phishers to gain access to users’ accounts. It should come as no surprise to hear that hackers are targeting Office 365 accounts. Any software package that has 155 million global users is going to be a target for hackers, and with the number of users growing by an astonishing 3 million a month, Office 365 accounts are likely to be attacked even more frequently. One study this year has confirmed that to be the case. There has been a 13% increase in attempts to hack into Office 365 email accounts this year, and many of those attacks succeed. You should therefore take steps to improve Office 365 security. Hackers themselves are paying for Office 365 and are probing its security protections to find vulnerabilities that can be exploited. They also test their phishing emails on real office 365 accounts to find out which ones bypass Microsoft’s anti-phishing protections. When emails have been developed that bypass Microsoft’s anti-phishing protections, mass email campaigns are launched on Office 365 users. Businesses using Office 365 can easily be found and targeted because it is made clear that they use Office 365 through public DNS MX records. So how can you improve office 365 security and make it harder for hackers? If you take the four steps below, you will be able to greatly improve Office 365 security and thwart more attacks. Hackers often conduct brute force attacks on Office 365 email accounts so you need to develop a strong password policy and prevent users from setting passwords that are easy to brute force. You should not allow dictionary words or any commonly used weak passwords, that otherwise meet your password policy requirements – Password1! for instance. The minimum length for a password should be 8 characters but consider increasing that minimum. A password of between 12 and 15 characters is recommended. Make sure you do not set a too restrictive maximum number of characters to encourage the use of longer passphrases. Passphrases are harder to crack than 8-digit passwords and easier for users to remember. To make it even easier for your users, consider using a password manager. Even with strong passwords, some users’ passwords may be guessed, or users may respond to phishing emails and disclose their password to a scammer. An additional login control is therefore required to prevent compromised passwords from being used to access Office 365 accounts. Multi-factor authentication is not infallible, but it will help you improve Office 365 security. With MFA, in addition to a password, another method of authentication is required such as a token or a code sent to a mobile phone. If a password is obtained by a hacker, and an attempt is made to login from a new location or device, further authentication will be required to access the account. Mailbox auditing in Office 365 is not turned on by default so it needs to be enabled. You can set various parameters for logging activity including successful login attempts and various mailbox activities. This can help you identify whether a mailbox has been compromised. You can also logs failed login attempts to help you identify when you are being attacked. As previously mentioned, hackers can test their phishing emails to find out if they bypass Office 365 anti-phishing controls and your organization can be identified as using Office 365. To improve Office 365 security and reduce the number of phishing emails that are delivered to end users’ inboxes, consider implementing a third-party spam filter rather than relying on Microsoft’s anti-phishing controls. 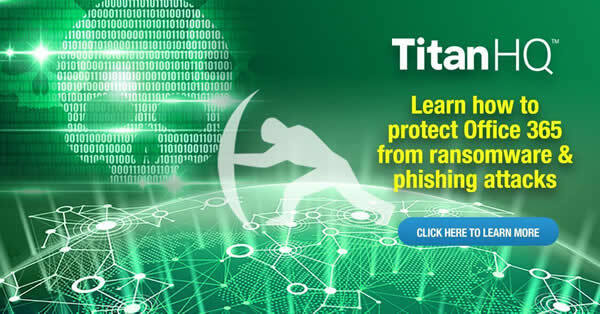 Dedicated email security vendors, such as TitanHQ, offer more effective and more flexible anti-spam and anti-phishing solutions than Microsoft Advanced Threat Protection at a lower cost.